Robust, light and stylish: the Typhoon is the ideal boat for a family outing or a trip out with friends. Simple and quick to assemble, small enough to fit in the boot of your car. 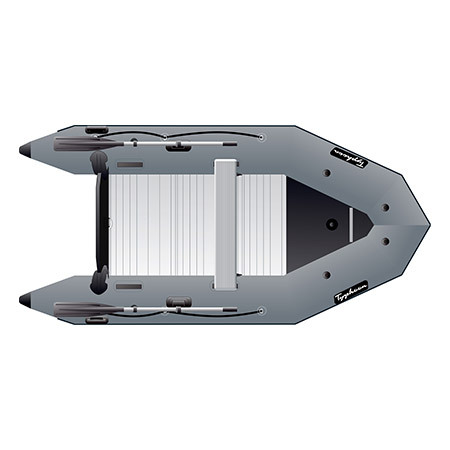 The hull features an inflatable keel, aluminum floor + aluminium stringers with tie down rail, aluminium motor plate and a self bailer. 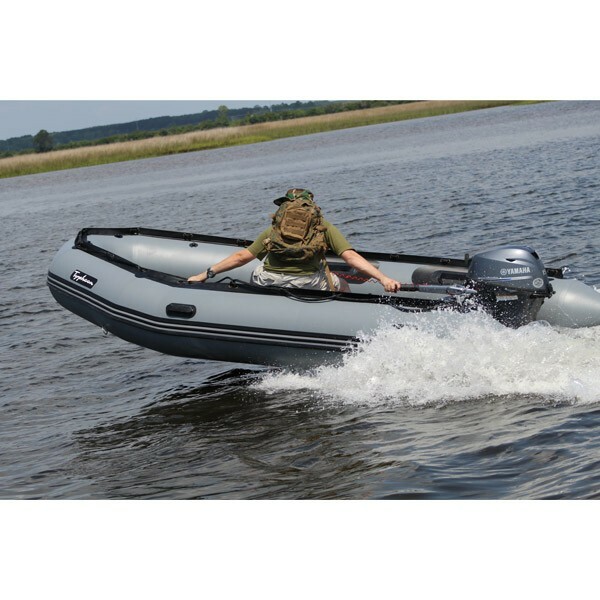 The buoyancy tubes are constructed of 1100 decitex fabric, semi-recessed valves, lifeline, rubbing strake with outlined profile, fittings for bench seat plus additional bench seat, bow handle strap, four carrying handles, two towing rings, two reclining oar supports and reinforced cone ends. Additionally, there is a carry bag with utility pockets, two reinforced aluminium oars, one foot pump, one repair kit, owners manual and bench seat. All major air holding seams are bonded for reliability and guaranteed for two years with the fabric.